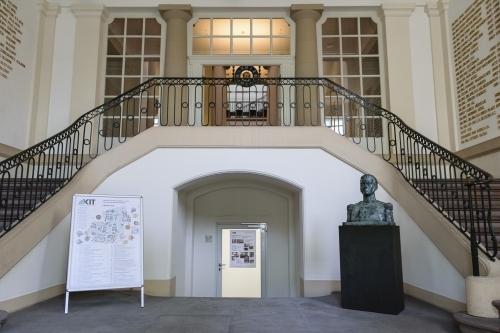 The CLM Assembly 2018 will take place at the Campus South of the Karlsruhe Institute of Technology (KIT) in Karlsruhe, Germany, formerly University/TH Karlsruhe. 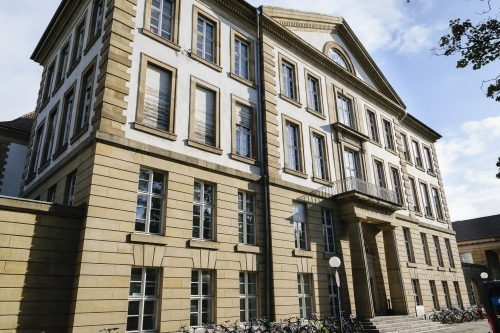 The Assembly will be held in the "Altes Bauingenieurgebäude" (building number 10.81, see Campusplan below). Informations about travel data of the German Railway to find a convenient connection for your trip to Karlsruhe central train station is provided by the Deutsche Bundesbahn. Below you find various ways to get to Campus South by tram from Karlsruhe central train station. The exact times of departure are available on the website of the Karlsruher Verkehrsverbund. Please get off at the stops "Kronenplatz /KIT Campus Süd" or "Durlacher Tor", from these stops its just a short walk to Campus South. The trams operate in 5-minute intervals; traveling time is 8 to 10 minutes. You can find an interactive city map here. Depending on your traveling route, you will reach Karlsruhe either via Motorway A5 coming from North/South (Frankfurt / Heidelberg and Basel / Freiburg), Motorway A8 (Munich and Stuttgart) or Motorway A61 (Cologne and Koblenz). The main entrance is located at the Adenauer-Ring (near Durlacher Tor). We recommend to use an updated navigation system, since there are a lot of road works and construction areas in Karlsruhe. Visitors must use the main campus entrance. At the reception (in the building to the right of the barrier) you will receive an entry permit. The west entrance is reserved for staff with a code card. Parking places are scarce.